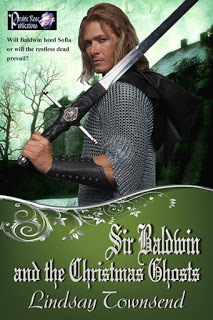 Sir Baldwin and the Christmas Ghosts, Night of the Storm, The English Daughter, Voices in the Dark, A Christmas Sleeping Beauty. Lindsay writes historically accurate fiction with interesting characters and plots. I enjoy her writing style. 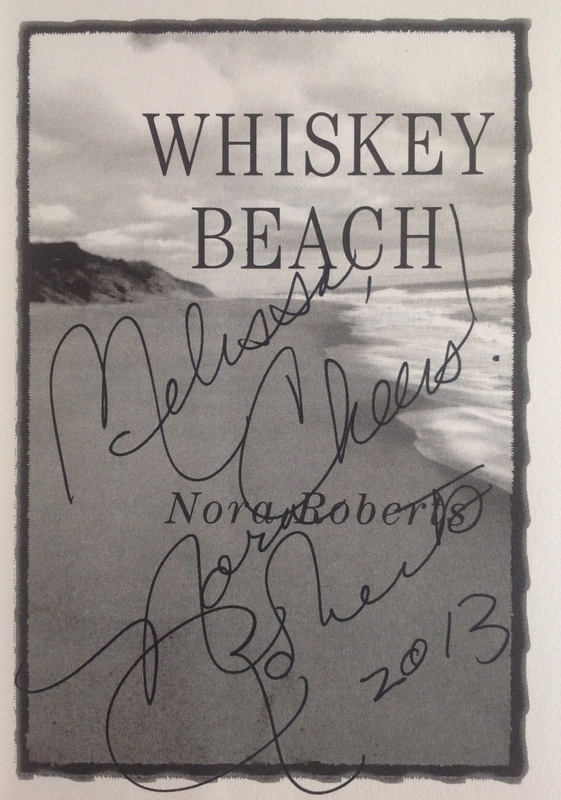 The pictures are from “Whiskey Beach,” by Nora Roberts, the first book I’ve ever had signed by the author in person. The last picture is one that Laura Reeth, Nora’s personal publicist, offered to take with my iPhone, which sealed the memory for me. I traveled from Minneapolis, Minnesota to Boonsboro Maryland, over 1,000 miles, for this experience and would do it again in a heart beat. Nora Roberts’ books have been capturing my heart since I first picked up her Cordina’s Royal Family series in 1986. After that I just kept looking for her books at libraries and bookstores. I could read her work for hours, even when re-reading her books, I find it very difficult to stop reading. Nora’s writing has an energy that engages my imagination until the very last page. In person, Nora is very much the same. She has a seemingly inexhaustible energy, to sign books, chat with fans, and pose for pictures. 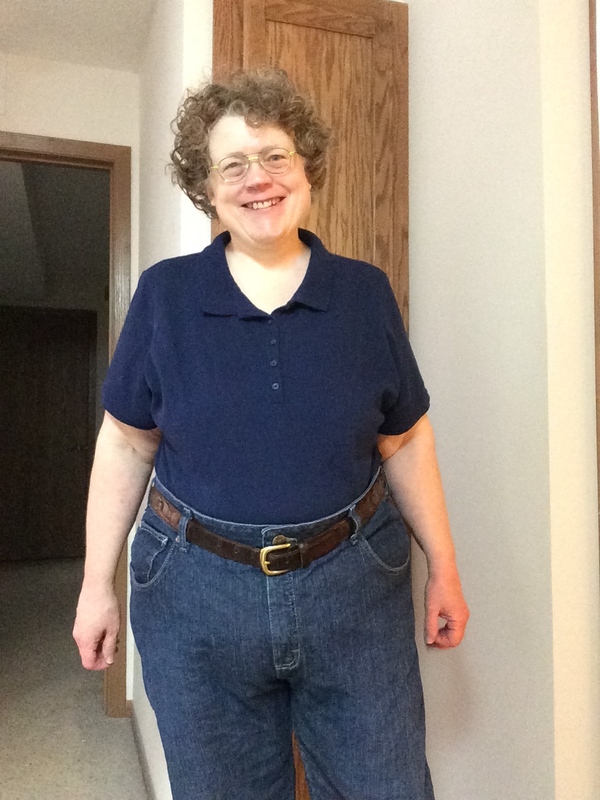 Nora is very engaging and appreciative of her readers. It was a meeting I’ll never forget. She signed “Whiskey Beach,” “Thankless in Death,” and “Kindred in Death,” the last two she signed as J.D. Robb. It was an excellent day and a beautiful memory, I’m very thankful to Nora Roberts and all who helped get the word out to all, even people in Minneapolis, Minnesota. 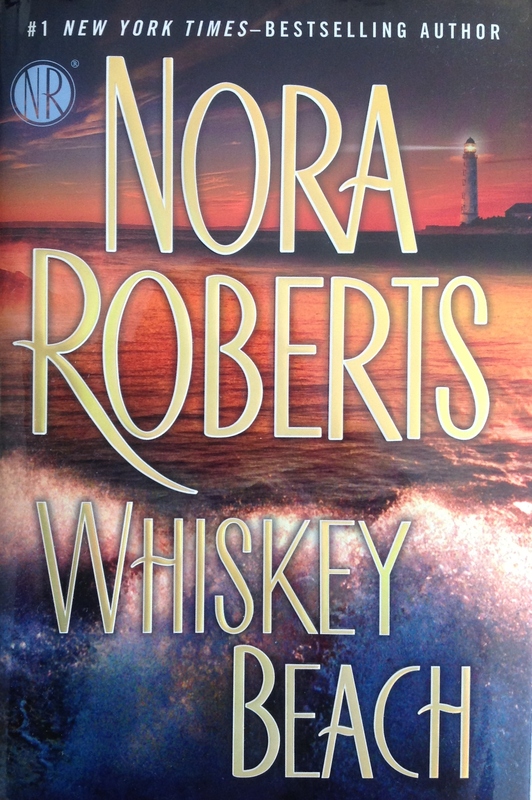 “Whiskey Beach,” by Nora Roberts is about the damage done by rumors designed to convict an innocent man in the court of public opinion. Abra Walsh doesn’t believe in gossip. She’s experienced first hand how damaging words are to a person’s life. Abra is on a mission to see that Eli Landon fights back against the false accusations. She has an ally in his Grandmother, Hester Landon, who mysteriously took a fall down the steps some two months before Eli arrives at Bluff House at the very spot where she landed. This is a mystery that kept me guessing until the very end. Eli knows he didn’t kill his wife but has no idea who did kill her a little over a year before the story starts. Just when Eli begins to respond to Abra’s gentle urging to live again, a private investigator turns up dead and the old rumors start up all over again. Will the person that killed his wife come after Abra or ultimately Eli? Is it the same person that killed the private investigator? “Whiskey Beach” is an excellent mystery romance that will keep you guessing. The characters have depth with an integrally woven plot that drew me in and kept me hooked until the last page. All created within a vividly descriptive world by the sea. An excellent romantic suspense novel that starts in winter’s cold and end’s with the sweet promise of Spring. Hope you all get a chance to read “Whiskey Beach” and share in spending some time by the ocean. The physical book is a work of art that takes me back to the quality of the books my Grandmother used to buy – made to last. Craftsmanship is fantastic. Above you can see the quality of the graphic arts included not only on the outer covers but on the inside of the front and back covers as well. Very well done. The audiobook is also very well done by Narrator, Luke Daniels. He put emphasis on the words that I wouldn’t have thought of when reading silently bringing more meaning to the story. The brick and mortar version on this occasion. Loved the atmosphere, very inviting as was Maryland. Great vacation for one or the whole family. Keep on reading everyone. Garrett Kelly is sent on a mission to capture Marcus Lattimer – a man that had cost the lives of the very men sent in to save him years earlier. Its personal with Garrett – a point of honor to see Marcus pay for his treasonous acts. So when Resnick wants Garret to stake out Sarah Daniels, a pawn that will bring Lattimer out of hiding, he’s eager to take the assignment. “‘I’m so sorry, Marcus. It should have been me who killed him,’ she [Sarah Daniels] whispered.”…. “‘So where do I come in?’ Garrett asked.”…. Garrett senses a connection with Sarah from the beginning. He knows she’s been badly hurt but is torn. He must stay true to the mission – catch Marcus Lattimer. Will his reasons for deception be enough to convince Sarah he had honorable intentions? Harry Berkley delivers again with an emotionally charged reading of Hidden Away. The characters take on a new vivid life as I listen. Really first rate rendition. Maya Banks tackles the tough topics in this story with grace and dignity. She gives the women in her stories difficult roles that they are well able to handle. I enjoy reading about strong women taking on tasks that have been given to men for far too long. Maya also gives her male characters compassion and the ability to show their emotions. Garrett is powerful yet vulnerable which makes me admire him all the more. 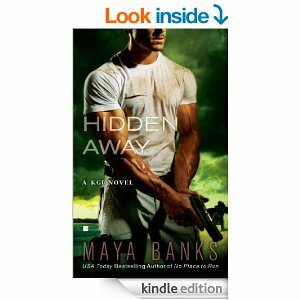 “Hidden Away” is full of drama, mystery and romance. A great addition to the KGI Series. Hope you get a chance to read the book and/or listen to the audiobook. Happy reading. Rafael is at a very exclusive fund raiser that he’s throwing and bumps into a pregnant woman that claims to know him. He has no memory of her but is intrigued so tracks her down to her hotel room. She not only doesn’t back down but claims he fathered her unborn child as well. “It was hard for him to discern why he was so arrested by her…. I love Maya Banks dialog – it flows into the narration seamlessly. When the narrator, Harry Berkley reads the manuscript there’s no breaks with he said or she said type repetition its perfectly scripted for audio. Harry also gives Rafael’s character depth with the accent he chooses. “Enticed by His Forgotten Lover” is a mystery romance that will keep you guessing to the end. I enjoy Maya Banks’ descriptive scenes and her ability to make up intriguing characters that I want to learn more about. Maya is an engaging author, I want to know how it ends so I listen at every opportunity until the very last word. 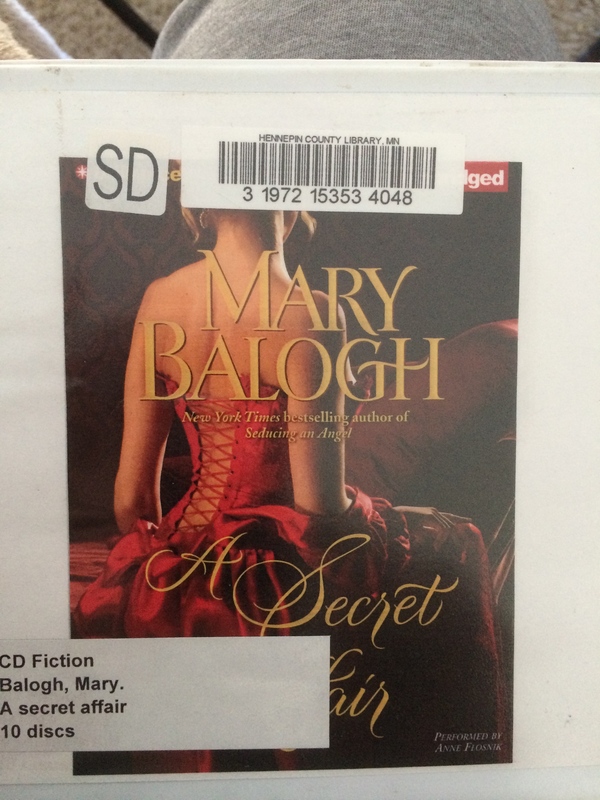 Thanks, Maya for delivering with “Enticed by His Forgotten Lover”. Also thanks to my local library for providing this title on One Click Digital provided by Hennepin County Library – love this libraries selection of audio and e-books. Hope where you are the weather is getting milder, frozen North is still frozen but we have hope – around 40 today so all things are possible. This is a note on my philosophy on book reviews. I’m not doing my reviews for money or any sort of compensation – such as free books or other give a ways. I’m doing my reviews because a librarian once told me to read only what you like when its for entertainment. So I read for enjoyment and hope you’ll be able to pick out books you’ll like based on my reviews. Since I’m doing this as a way to share my likes you won’t see critical reviews on this site. Sometimes I wonder why, with our finite time on earth, some feel it necessary to be critical. You’ll accomplish much more by promoting and supporting authors you like and you’ll feel better when you’re sharing positive energy. I do the same with any reviews on Amazon or iTunes where my user name is MissMed51. In those cases it will cover reviews not only on books, but movies, TV or equipment I may need to buy. This is my soap box talk for tonight – won’t promise never to do another post like this one but will if needed. A good rule of thumb is this, if you don’t have anything good to say, don’t say anything at all. Don’t know who said that but have been hearing it in one form or another all my life and whenever I follow the advice my life goes very smoothly. Also, one should always remember, each of us has a bias where anything is concerned. Know the books you enjoy reading and review those. There are many styles – find one that makes you say, yes, this is something I like. Authors are making their living based on book sales – your opinion matters – make the most of it. My wish is to help out a few authors while sharing my joy in having shared an imaginary world with them for the length of the book. Hope you find something in what I write that helps you find your favorite book type that will lead to your next arm chair trip into the jungles of South America or the Carpathian Mountains in Europe. Take some time to travel. What makes this KGI Series Book 4 a must read? When a tough man is nearly broken its a story but when a woman this man has never met steps in with an empathetic gift to bring him comfort and new hope you have a Maya Banks romantic thriller. Fast paced novel with lots of twists and turns but throughout you never give up hope. The images that Maya Banks writes about are still in my mind, when the hero is searching for his rescuer she describes what’s around her. Its as if I can still remember the smell of pine – the writing a vivid intense artwork. When you finish you’ll want to read about Shea’s sister, Grace, a class act that wants the best for Shea. Great story of family love and what really goes into defining a true clan. Since I also benefited from the audio version of this book, I wanted to say that Harry Berkeley does a first class job with creating distinct voices for every character. Hearing the story really brings it to life. I hope you all get the chance to experience “Whispers in the Dark,” its not your average thriller but something more. 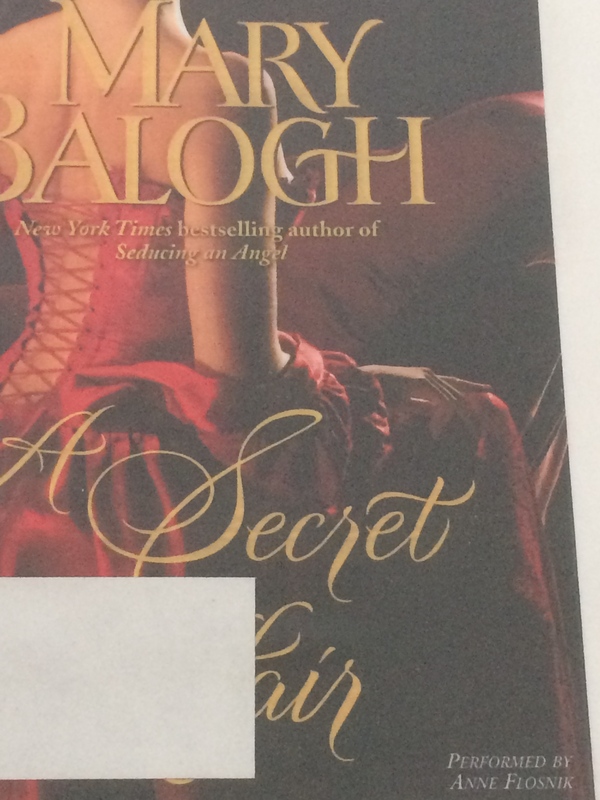 Below is the image for Book 5, Grace’s book.